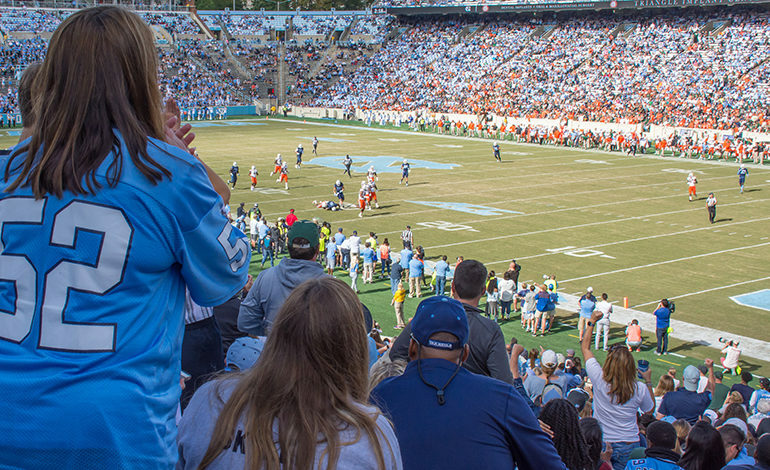 Kenan Memorial Stadium opened in 1927 and is located in the heart of UNC Chapel Hill’s campus. When originally built, the stadium seated 24,000 attendees. Through the years of expansions and renovations, the stadium currently seats close to 63,000 patrons. Most recently, the University wanted to give the outer portions of the field a ‘face-lift’ by removing sections of the existing natural turf outside of the football field, along with portions of the existing asphalt paths running along the base of the stadium seats, to allow for construction of a synthetic turf area / collar around the existing football field. As part of this project, the existing fence and shrubs surrounding the field were removed and additional renovations to the existing utility infrastructure (e.g. sanitary sewer, electrical, and plumbing infrastructure) were performed. 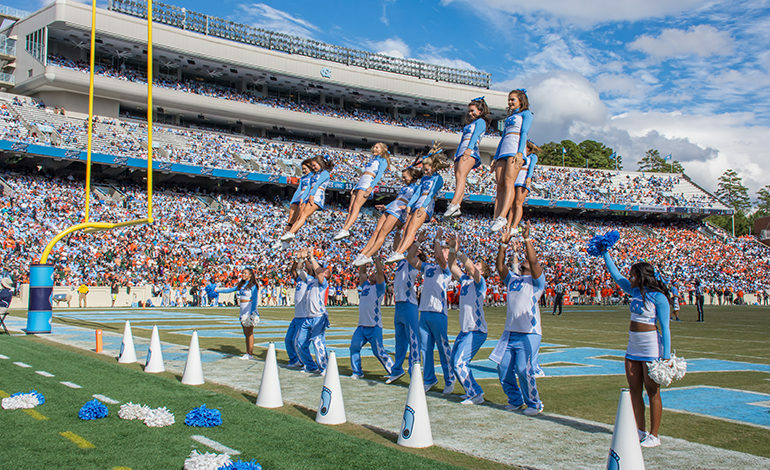 These renovations presented an opportunity to provide a dramatic face lift and operational improvements to a UNC landmark facility. Working within the demanding time frames of a major university schedule, McAdams provided design and construction administration expertise to transform all of the area at playing field level while safeguarding the carefully maintained football field turf. The finished product is not only be beautiful, but durable and more efficient through improved drainage and new electrical and irrigation systems.